Minneapolis, MN Chimney Inspection | 2nd Generation Chimneys, Inc.
At 2nd Generation Chimneys, we always put the safety of our customers first, so you know you can count on us to provide the most thorough chimney inspections in the business. We offer level 1, 2, and 3 inspections, as well as comprehensive sweeping and repair services. We also provide quality installation services using only the safest and most reliable products on the market. If you live in the Minneapolis area, call us when it’s time for your annual cleaning or whenever you need an inspection. A Level 1 inspection should always be part of your yearly chimney sweeping service. If your chimney technician does not perform a preliminary inspection, you should hire another contractor. Our technicians always inspect all the readily accessible components during a cleaning. Once your chimney has been cleaned and all blockages are removed, such as debris, creosote, or animal nests, our techs will use a strong light to examine your damper, smoke chamber, and firebox. The technician will look for any obvious issues with the structure of the chimney and the flue liner. We also check the outside of the chimney for any needed masonry repairs or cracks in the crown. Although the technicians typically do not require roof access for this basic inspection, they will need a closer look at the top of your chimney to check for cracks in your chimney crown or problems with the cap or screen. Your technician may need to perform a video inspection if there are any suspicions of cracks or gaps in the places that need to be accessed with a camera. Level 2 inspections will definitely require the use of a camera. Level 2 inspections are more comprehensive than a Level 1 inspection, since they require the use of special equipment and access to the roof and crawlspaces. These inspections are needed whenever a change has been made, such as a heating system upgrade, or if the property is being sold. Disasters, such as fires and earthquakes, will also require a level two inspection before the chimney can be used again. When the chimney is cleaned and given a preliminary inspection, the technician may recommend a Level 2 if there are any indications of issues in hard to reach places. A Level 2 inspection also evaluates the flue size and its compatibility with your fireplace or furnace. Some newer furnaces will not work with clay or tile flue liners, for instance. If the chimney does not extend far enough from the roof, or if there are other clearance issues within the chimney system, a Level 2 inspection will detect this. Your technician should provide some possible solutions since lack of proper clearance is a hazardous condition. A Level 3 inspection is the most comprehensive of all chimney inspections. It will include everything that is done in a Level 1 and a Level 2 inspection, but it could also include removing the crown or other permanent structures to gain better access. However, this is only done if it is absolutely necessary. Most components can be inspected with the camera in a Level 2 inspection. If there are any major concerns or safety hazards, such as a leaning chimney, your technician may recommend a Level 3 inspection so that the entire chimney system can be thoroughly examined. The chimney inspection tip for Minneapolis residents is to be extremely careful with your chimney after a chimney fire. First of all, residents should be aware of how to determine whether they’ve had a chimney fire. If there is a louder than normal fire noise coming from the top of your chimney and there are actual flames coming out of the top of your chimney, this means you had a chimney fire. After this occurs make sure to have your chimney inspected for damages before using again. We also provide chimney inspections, repairs, and installation services to homes in the Twin Cities area. Our chimney experts are highly skilled and trained to take care of any chimney service needs. 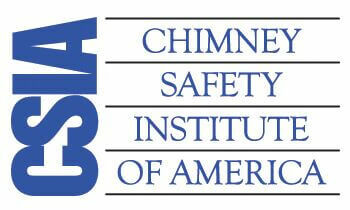 Call 2nd Generation to find out why more customers trust us to provide their chimney inspections.